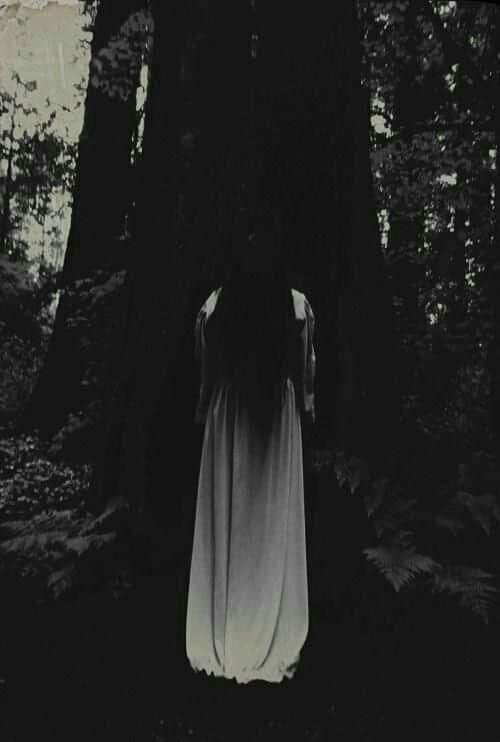 I have chosen a few things to do from the ” Ghost To Do List” in the hope that I will come back as a Ghost and at last be considered ‘truly haunting ‘ as opposed to ‘ a bloody nightmare’. 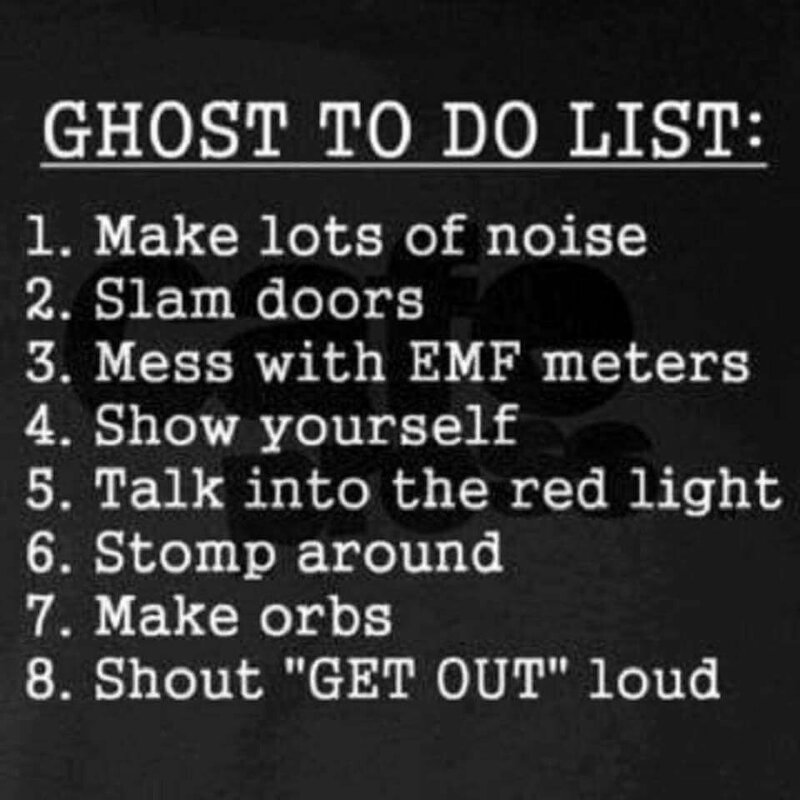 I will do #3 and mess with EMF meters with all enthusiasm of a Black Friday Shopper. I have watched hours of youtube Black Friday news clips. I have studies. I have learned. I have absorbed. I will do #7 because I happen to be very artistic. Ok. No I’m not. I can’t even draw stick figures. I’m not sure but I think there’s a law somewhere forbidding me from ever touching at supplies under any circumstances in any country for the next two thousand years. Yes. I am that bad. I have made all three of my art teachers and a Blue Scout Troop leader cry. My handcrafted orbs will take freaky art to a new plane of existence, which is very fitting under these circumstances. I will do #5 because all I’m going to say is, ” Can you hear me now? Can you hear me now? Can you hear me now ” and I will drive people insane. It will be AWESOME. I wonder if they will bark like dogs or turn into cannibals- but in a weird twist start to eat their own body parts- lady fingers, lady fingers, yum yum yum. My haunting will be fun and amusing and Exorcism Proof. I intend, as you can see to be fully prepared. As a ghost will these items be on your “kick-the-bucket” list. BWAHAHAHAHAHAHA!!! !